Discover the solution that leverages the power of BlueCielo Meridian in combination with the Microsoft Azure cloud platform to improve engineering collaboration and reduce costs. BlueCielo Meridan360 Portal is a secure, efficient and cost-saving solution for managing dynamic, multifaceted engineering projects and bringing together geographically dispersed teams. The solution is designed to leverage the power of BlueCielo Meridian in combination with the Microsoft Azure cloud platform, to improve collaborative efforts and reduce costs. Meridian360 Portal is a cloud-based portal that offers full collaboration with the entire supplier network without giving them direct access to internal master data and workflows. As global markets expand, owner operators and engineering contractors need to adopt new ways of connecting and collaborating with each other. Meridian360 Portal increases efficiency by reducing the amount of time organizations must spend on document control, project management, review and authentication of project deliverables. Meridian360 Portal offers significant advantages for global owner operators and engineering contractors that need reliable, secure, cloud-based collaboration and document exchange with an extended project team. "The launch of Meridian360 Portal, our first cloud offering, has brought our company into a new era. We’re very excited that Microsoft Azure is part of the journey toward greater customer success," commented Daniel Cozza, Chief Technology Officer, BlueCielo. "Global project teams face distinct obstacles in collaborating and working together productively. We’re pleased BlueCielo has chosen Microsoft Azure for its global scale and enterprise-grade security to power their Meridian360 Portal to help businesses of all types and sizes improve project collaboration and information engineering in the cloud" said Nicole Herskowitz, Senior Director of Product Marketing, Microsoft Corp. When moving to the cloud – be it public, private, or hybrid – owner operators need to rely on highly secure environments for enhanced data and intellectual property protection. They want their information to remain secure and private, while maintaining transparency and compliance. Companies working with sensitive engineering information feel this most keenly, as risk mitigation is essential not only for daily operations but also to protect the license to operate. 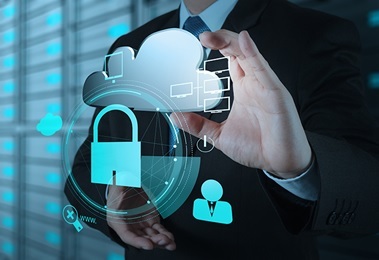 So is it possible to find a solution that can deliver the promise of the cloud for enhanced profitability with security to rival local installations? Built on the Microsoft Azure cloud platform, BlueCielo Meridian360 Portal is a hybrid cloud solution that offers the best of two worlds: the power of Meridian software combined with the world-class reliability, performance and enterprise-grade security of Azure.